When you play your Prodigy string instrument, you’re connecting with nearly five hundred years of tradition. The history of violin-making is rich and fascinating. Here’s a brief overview of the last hundred years of the violin-maker’s art. In the mid to late eighteen hundreds, the industrial revolution was well under way. This brought a rise of urban culture, increased buying power for the new middle class, and an expansion of international trade. Music was now becoming popular with ordinary people	. Gone were the days when music existed only as entertainment for the noble and wealthy classes. Several different instruments grew in popularity. There were mechanical devices, like player pianos, various designs of music boxes and other basically self-playing instruments. More traditional instruments like pianos began to appear in more homes. The violin in particular was the most popular instrument for musicians. However, there was already a shortage of quality string instruments. The great master instruments from the 17th and 18th century were already collectible, and therefore all but unaffordable to would-be musicians. Several savvy violin-makers came upon the solution. They created master workshops where they trained specialist wood carvers to do much of the time-consuming work. The masters trained the workers, oversaw their labors and were directly involved in the assembly and varnishing of the instruments. By putting much of the work in the hands of specialized wood-workers who were not highly paid masters, they were able to create high-quality hand-made string instruments at a cost people could afford. This was a major change for violin-making in particular and the world of music in general. For previous generations, only a small caste of professional musicians had access to instruments, which were often provided by their employers. Now nearly everyone could afford to buy an instrument and learn to make music. This resulted in a surge in popularity of classical music in Europe and abroad. 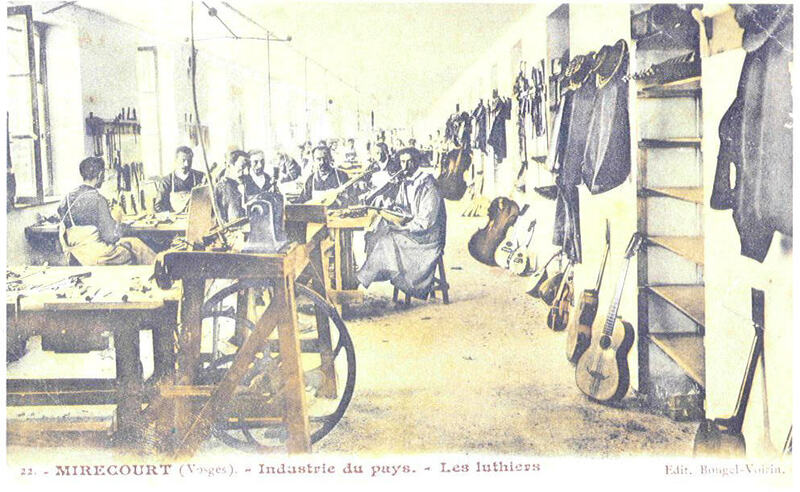 European workshops continued to make string instruments and bows in this manner up until the middle of the 20th Century. The aftermath of World War II brought about major changes to Europe and therefore to the world of violin-making. Entire towns were destroyed, taking many workshops with them. Europe itself was rearranged, forever changing the way people were able to interact and carry on business. At this time automation and mechanization were beginning to appear in many industries when it had never been seen before, like violin-making. After the Second World War, essentially all student string instruments were largely machine made, with hand-work comprising little or none of the process. This means that nearly all musicians who began studying after the war started on machine-made instrument. Generations of string players never knew what it was like to play a high-quality instrument unless they became advanced enough to invest in an expensive older model. In recent decades, many factors have revived the craft of violin-making. A very important part of this change has come from the huge success of the Suzuki Method with regard to string instruments. The next big change to affect the world of violin-making was the opening of China to commerce with the west. In 1992, Qian Ni, who came to the United States from China to study music, founded Eastman Strings. His company bought instruments from Western-trained violin-makers in his home town in China. But before long, he and his colleagues saw that a different approach was needed, an approach that followed the pattern used so successfully in Europe a century before. Ni hired a group of established Master violin-makers, and with their help, built a large violin workshop devoted to the handcrafting of string instruments. This was one of the first such workshops the world had seen since the first half of the 20th century. 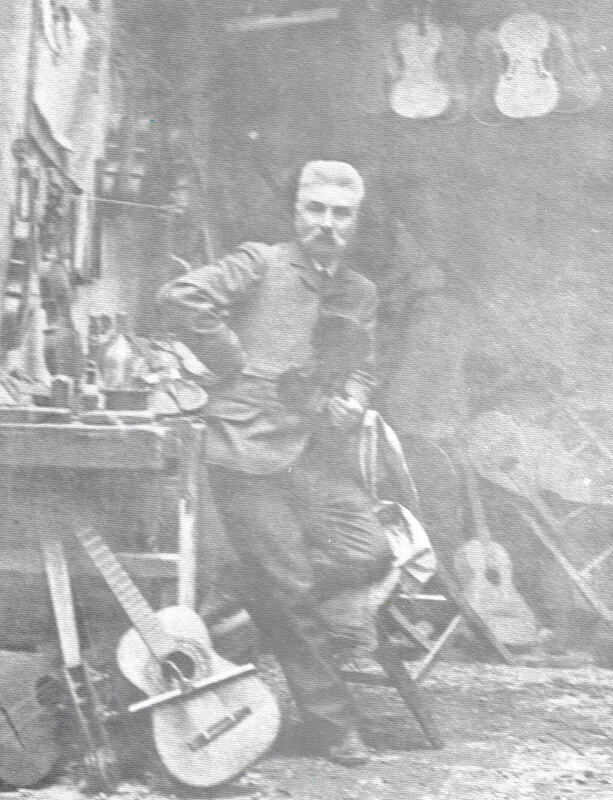 In the short time since this workshop was created, the reputation of Eastman Strings for the tonal quality and craftsmanship of their instruments has become a worldwide standard. When Robert Kurz, founder of Prodigy, was searching for a partner to make his high-quality student instruments, Eastman was a natural choice. Today, the instrument and bow-making shops that build Prodigy Instruments, under an exclusive agreement with Eastman Strings, operate in precisely the same manner as those in late 19th century Europe. They use virtually no power tools aside from band saws used to cut out the necks. Chisels, knives, gouges and scrapers in the hands of gifted craftspeople are the only tools used to create your Prodigy Instrument. History has taught us that the traditional way of making string instruments results in a better value for student musicians. See why Prodigy Instruments are so affordable. Now that you have learned a bit of the history of violin-making, see what all this history has led to. Get more specific about Prodigy Violins !, Violas !, and Cellos !.